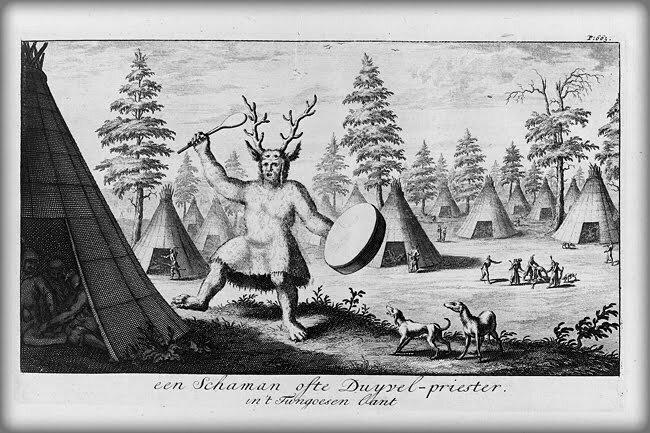 A shamanic costume is also used to effect the spectators, and items were added which reflected a specific worldview. Feathers were commonplace, usually from birds of prey, with leather thongs hanging from the sleeves symbolising wings. 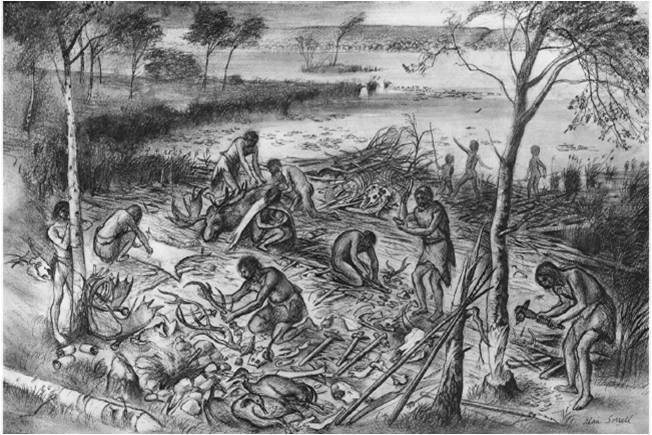 Costumes could also have images and small pieces of human or animal bone attached, as they are linked to the symbolic death and rebirth experience. Antlers and horns are another common symbol, primarily found on head-dresses. 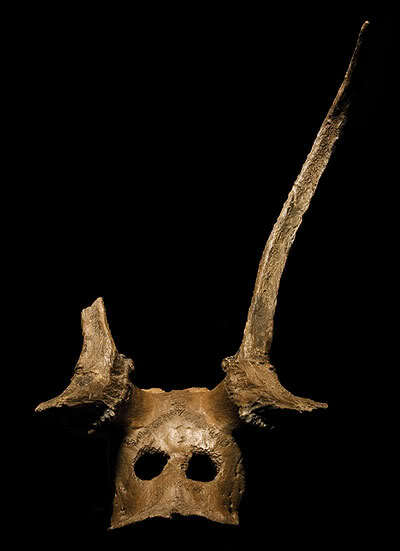 Antlers may have symbolised a connection with the deer species and with hunting, but it may also have been used to connect with the wider universe, reaching out into the cosmos from the top of the head like antennae. Like the life tree (and the Axis Mundi, see Palaeolithic shamanism), the branches of the antlers stretch out into the upper world, becoming channels for messages from higher spirits and levels.